One of the Best Podcasts featuring Dive bars, Classic Pubs, Haunted Taverns. Oh, and Scooters. Chasing Ghosts. On Scooters. In Bars. Our meandering stories about ghosts, bars, and scooters. Sure, it's an odd combo, but trust us on this, it all makes sense. 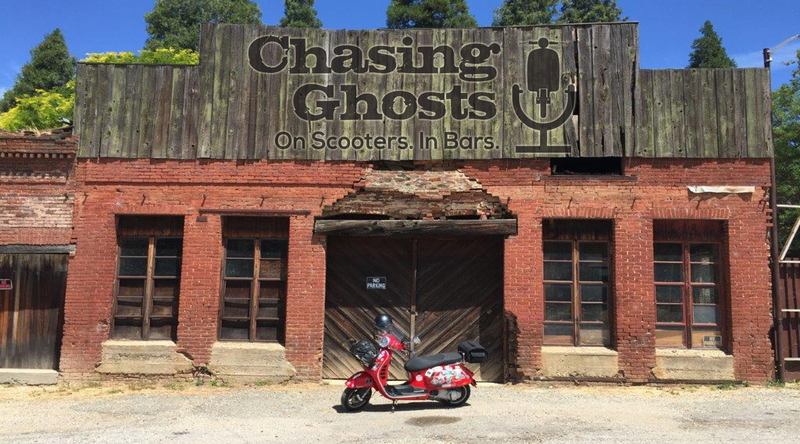 Join us for the podcasts as we traverse the western states in search of classic pubs, dive bars, and haunted taverns on our Vespa Scooters. Episodes 1 thru 4 feature our 10th annual Pubscoot '16 in the Sierra Nevada Gold Country and Sacramento Delta. These are a 3 to 4 day romp visiting as many as 40 great pubs and bars. Hear the first hand yarns from servers, owners, and bartenders. Tell us your bar, tavern, or pub ghost story. Want we to hear it! Email or record and attach your story! Copyright © 2019 Chasing Ghosts. On Scooters. In Bars.